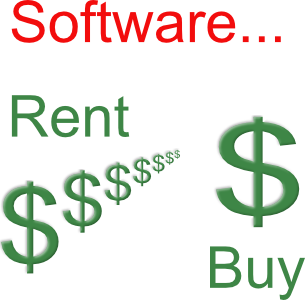 Subscription Models for Software – More Profit and Better Software? 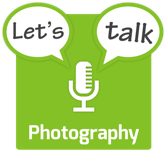 One of my favorite podcasts is Bart Busschots’s Let’s Talk Photography show. He often has a panel of guests on to talk about photography techniques, but he also has shows that are just Bart teaching on a subject or simply musing. I like the panel episodes and I love the Bart-only shows. In Episode 45 entitled “Thoughts on Software” he walks through some thoughts on choosing photo image editing software. He doesn’t compare features so his advice could really apply to any software you use, not just photography software. I want you to go listen to his show (at lets-talk.ie/…) but I also want to talk about what he said and perhaps provide another viewpoint. Ideally you’ll stop listening/reading me now and go listen to Bart and come back. Don’t worry, I’ll wait. ====== Sings Jeopardy theme song =======His first point is that no one can tell you what software is right for you, and I couldn’t agree more. I can’t stand it when I hear people review products and declare them good or bad, wrong or right. The worst right now are people reviewing the HomePod by saying, “I already have speakers.” That’s not at all relevant to whether HomePod could be good for someone else! Anyway, I’ve managed to digress already. Bart then discusses one of his favorite topics, “follow the money”. He goes through how he believes that the subscription model gives software development companies a sustainable business that can support good software development. His point was that software companies have trouble making profits that will sustain a development staff during the droughts between big upgrades. He also believes that only getting revenue after big upgrades encourages companies to add fancy features that maybe users don’t need or even want. That sounds like a sane argument, but he used Adobe as an example, specifically their move to the Adobe Creative Cloud subscription model. As soon as I heard him talk about Adobe and trouble making profit in the same sentence I started wondering whether that was true, or whether he assumed it was true. I decided to do some digging. 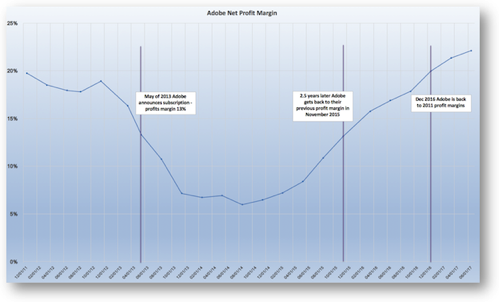 Since Adobe is a publicly-available company, we can actually see what their profit margin has been as a function of time. I found a resource called stock-analysis-on.net/… where I could specify the date range for a particular company and it also allowed me to download an Excel file to make my own graphs. What could be more fun than that??? I asked for financial data for Adobe from 2011 to 2017. The data was fascinating. The short story is that in May of 2013, when Adobe first announced its subscription-only service, they had a net profit margin of 13%. Their profits had been in a slide for six months leading up to that announcement, but after the announcement the net profits continued to plummet. In fact, they dropped to 6% by August of 2014. At that point Adobe started to recover, with their profit margin finally regaining their 2013 numbers two and a half years later in November of 2015. So two and a half years of loss directly after making the announcement that you couldn’t buy their products outright. That’s pretty tough. They did continue to recover, returning to 2011 profit margins in December 2016. The curve has continued up till today when they’re at 22%. I was talking to Steve about the giant two and a half year dip in profit margin Adobe experience directly after they announced the subscription model. He suggested that it took that long for people to finally submit to Adobe’s terms and agree to paying to rent their software. During this time, I remember Adobe coming out with a lot of new features (even though Bart says that’s not what should happen). I think those new features did convince people to abandon the software they’d paid so much for and sign up for the subscription model. There seems to have been a period of denial followed by acceptance. Until recent announcements from Serif Labs about Affinity Photo, people have seemed to feel that they’re getting good value out of paying $120 per year for Photoshop and Lightroom. Let’s look at the other side of this equation. In 1987 a little company called Serif Labs was created. Over time they’ve been working on products to compete with Adobe. In 2014 Serif came out with Affinity Designer for the Mac (they’d had it for Windows for a while). In 2016 they came out with Affinity Photo first for the Mac and then later for Windows. In 2017 they came out with Affinity Photo for iPad. They’ve got teaser videos out for their digital asset manager which will compete with Adobe Lightroom and be available on the iPad. Adobe does not have Photoshop for iPad or even a full version of Lightroom for iPad. They have a limited version of Lightroom only. Affinity has chosen a different business model than Adobe. They charge once for their software, not subscription payments. And Adobe users are flocking to Affinity tools. I wish I had pure numbers to back up this statement, but Serif is a privately-held British company so they don’t report on profits or any other metrics that I can find. What I can tell you is that the community of rabid users is growing at a brisk pace. One Affinity Facebook group of which I’m a member already has over 4000 members. 191,825 people have liked the official Affinity page in Facebook. Based on that I think it’s an easy stretch to estimate that at least a hundred thousand of people have fled the Adobe subscription model and moved over to the Affinity products. The testimonials from real photographers and graphic designers doing crazy amazing work in Affinity Photo and Affinity Designer are amazing. When Serif Labs comes out with their Lightroom competitor, I predict that a much greater percentage of people will jump ship. It’s not just that the Affinity line of products are a buy once model, it’s that they cost far less than Adobe ever charged for their products. I know at one time Photoshop was $600, I think it was more in the $300 rage towards the end, but Affinity Photos is only $50 and Affinity Designer is also $50. That’s the cost of 5 months of Adobe’s Photoshop and Lightroom bundle. Affinity has a lean, talented staff. I found an article dated in 2014 when Affinity Designer came out for Mac – they only had 30 developers on staff. As of the last time the Wikipedia page was updated for Serif, their total headcount was 190. Adobe has 15,70 employees. 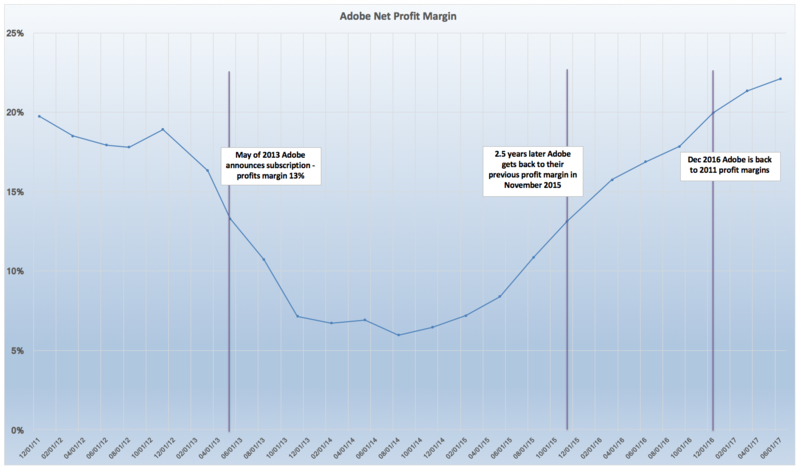 Perhaps Adobe’s profit problems stem more from a bloated staff than an unsustainable business model. I want to take this discussion a bit further. Bart argued that without a subscription model, companies are essentially forced into coming out with big releases, adding new features people don’t need or want. I’m not sure a subscription model stops that behavior. I used Office 2011 at home just about as long as I could. It will stop working with High Sierra, but I jumped over to Office 365 a few months back. I absolutely hate the new version of Excel in 365. I found it incredibly tedious to create the chart I made for this post. Just trying to find the simple things I wanted to do, like change the font size on the axes was a long process. I could, of course find silly things like how to fill the font with a gradient but I couldn’t find the darn bold button. I’m now paying $100 per year for a product that is much worse than what I owned before. Oh, and Excel in Office 365 is way way slower than Office 2011. So there’s that. A subscription service didn’t save me from bloatware. To be honest, I use Google Sheets far more often than I use Excel because it’s so dreadful and because it’s harder for me to share files with Excel 365. Micrsoft has sucked all of the joy out of Excel for me. I predict that more companies will come out of the woodwork with models like Serif’s Affinity Photo and Designer to compete with the subscription services of the big guys. I predict that if in two years, I pull the Adobe profit margins, that curve will have started downwards again because of the subscription model. As Bart said at the very beginning of his show, no one can tell you what software is right for you. We can both give you something to think about when choosing your software. Personally, I’m a Serif Labs fangirl all the way. Now if you cheated and read or listened without listening to Let’s Talk Photography for June 2017, go listen to it right now! My perspective comes from 25 years in the software industry. Building a sustainable software business for a deep product is expensive. I don’t work cheap, and neither do my colleagues. Adobe is spending a fortune on their product like many of us do with deep products. I have been in subscription (SaaS) companies since 2002. These companies did better than my previous ones where the model was perpetual license plus support. Users hate paying for support and upgrades. A SaaS model allows us to provide new features, training, and support at one price. It’s up to us to come up with useful features worth paying for to reduce customer churn. The transition from perpetual to SaaS pricing was a painful one for us all as Adobe’s numbers illustrate, but as software prices race to the bottom and developers are less scarce we had no choice. There are few barriers to entry to the software business. Anyone can learn to code so developer wages are falling. At the same time, there are fewer “deep” applications due to the cost of designing and building them. There are also a lot of junk apps created by people who are not subject matter experts. I compare it to other tech. Your first computer was probably $3000. Today they start at $300 at Costco. Software developers can make a profit two ways – deliver a deep product that a niche audience needs and will pay for, or develop a cheap product with mass appeal. Adobe still has a niche, but mass market apps are making them less relevant. It’s a race to the bottom so I’m seeing talented developers leave to pursue jobs in cyber security where there is less competition and higher wages. I may be wrong, but from memory Adobe began its subscription business model in 2011. Second when they so arrogantly made that announcement and totally ignored the enormous firestorm this created all over the internet which went on non stop for well over 6 months they must have realised THEN the fatal mistake they just made. I made a firm decision then never to accept that rental system and I have stuck to Lr5 and Cs5 since. And honestly it’s been a relieve. It unhinged me from that desire to go after the latest and greatest all the time. Slowly I began to use new software like Aurora HDR, Luminar and now Affinity for the iPad. Adobe is a monopoly. Great software but lousy management. Monopolies always make the same stupid mistake trying to manipulate their customers to their will in order to boost their profits. Now or sometime soon they will have to decouple themselves from that rental system in order to capture the upcoming iPad professional market and software producers. Until then their market share will begin to drop more and more. I am not sure if they really will ever recover from this debacle. As far as I know every Adobe user past and present is still really pissed about Adobe management arrogance.